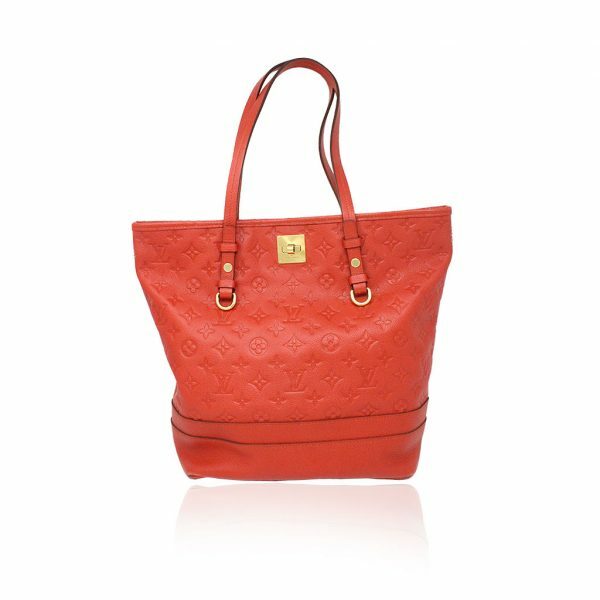 Condition You’re viewing this Louis Vuitton Red Empreinte Citadine PM Tote Bag w/ Attached Pochette. 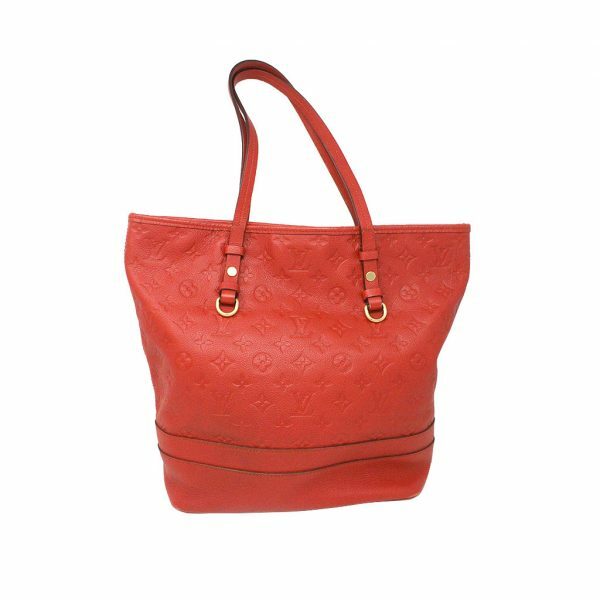 This beautiful bright red Louis Vuitton tote bag is in great condition and comes with original dust bag and attached pochette. 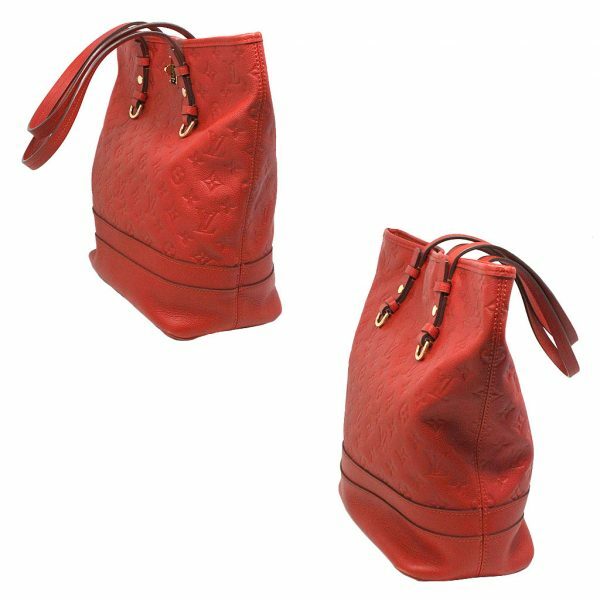 The red empreinte leather show very little signs of wear. There are no scratches, rips or tears on the exterior leather. 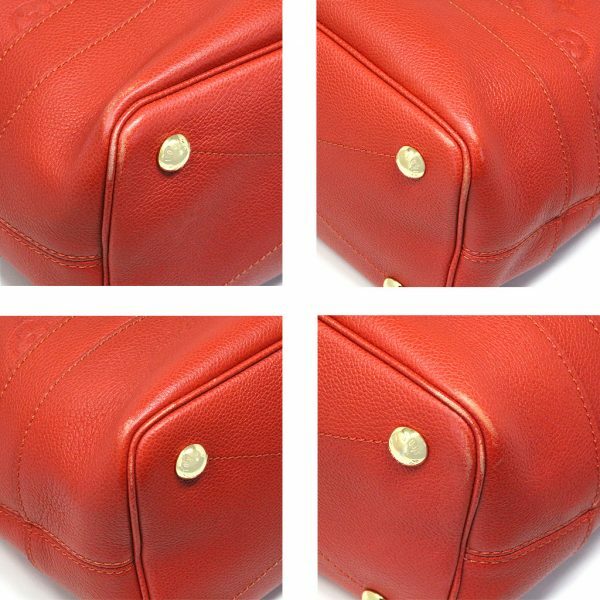 There are also no stains on the leather as well. 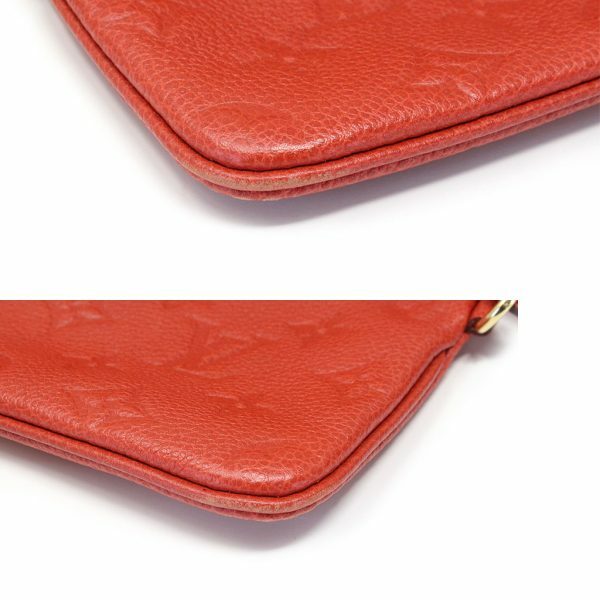 Along the piping on the bottom and top of the purse, you will see visible scuff marks which can be seen in the pictures listed. 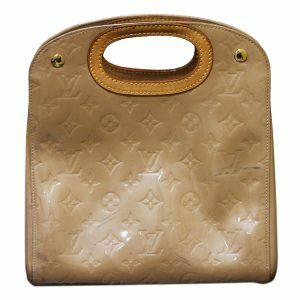 The bottom of the tote has 4 golden brass feet which show only faint scratches from use. The bottom corners also show slight scuff marks next to the piping. 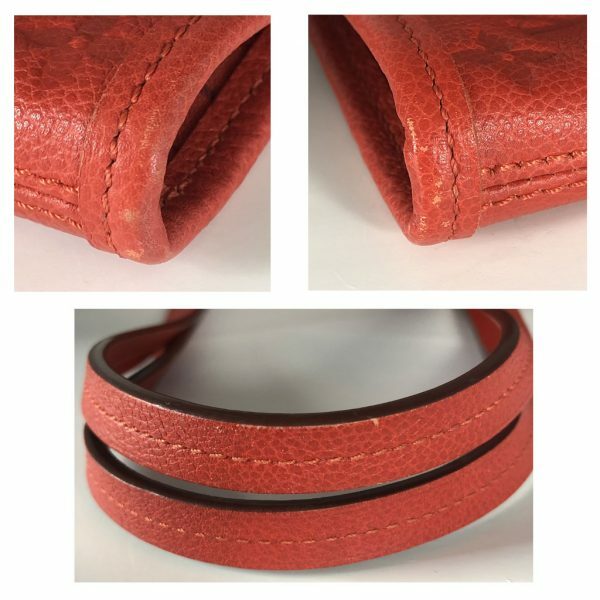 You may notice a darkening area of the leather on the back of the purse near the bottom left corner. This purse has a golden brass push-twist lock which opens properly. 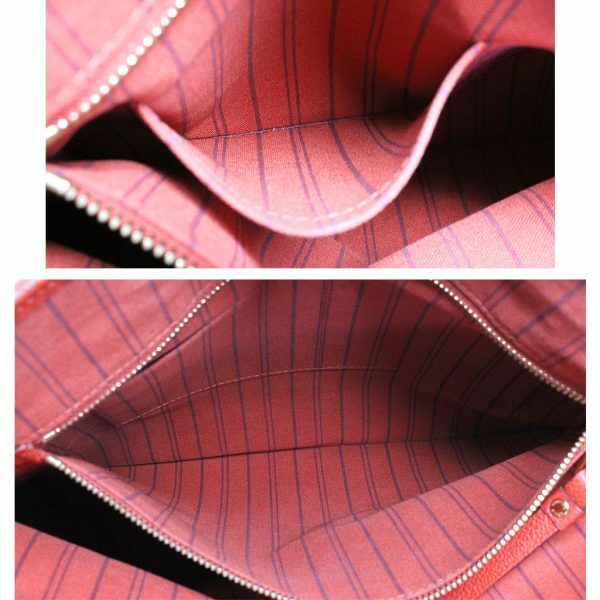 The interior has a red pin-striped textile canvas lining. 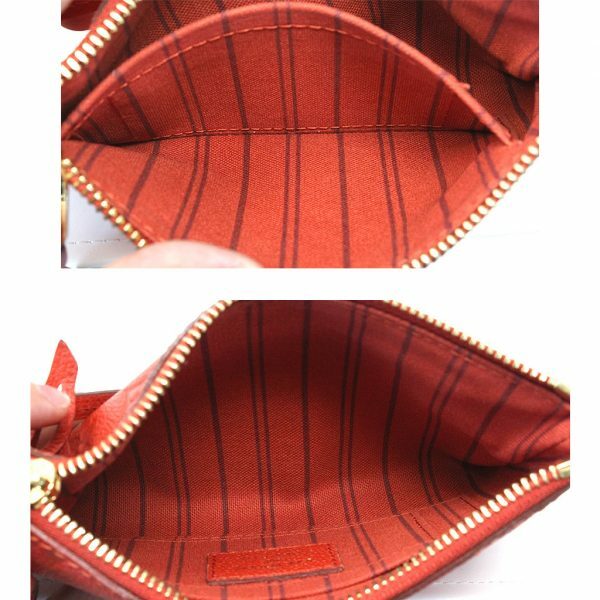 The interior lining is in excellent condition but shows faint white marks along the walls of the lining. The interior contains one large zipper compartment with two smaller pocket compartments. Attached on the interior is a small pochette for your I.D. and keys. 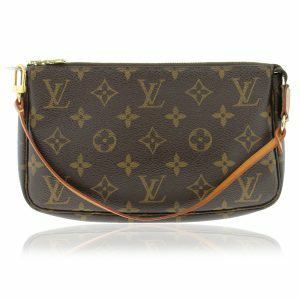 This pochette is in great condition and shows visible scuff marks along the bottom corners. 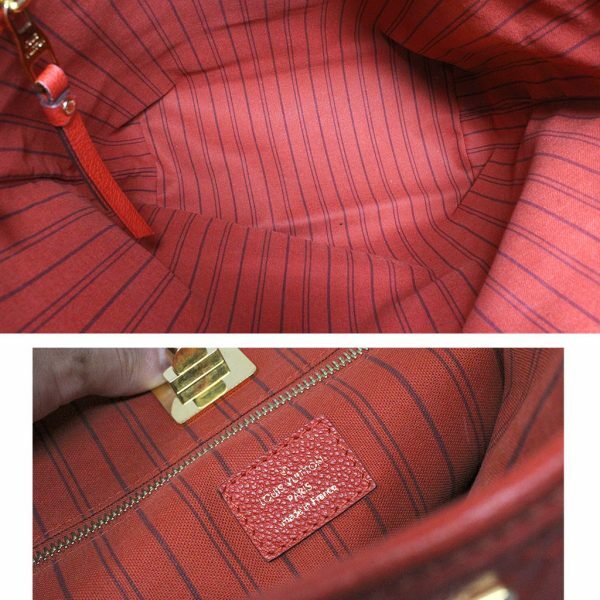 The interior lining is in excellent condition and shows no make up stains or pen marks. 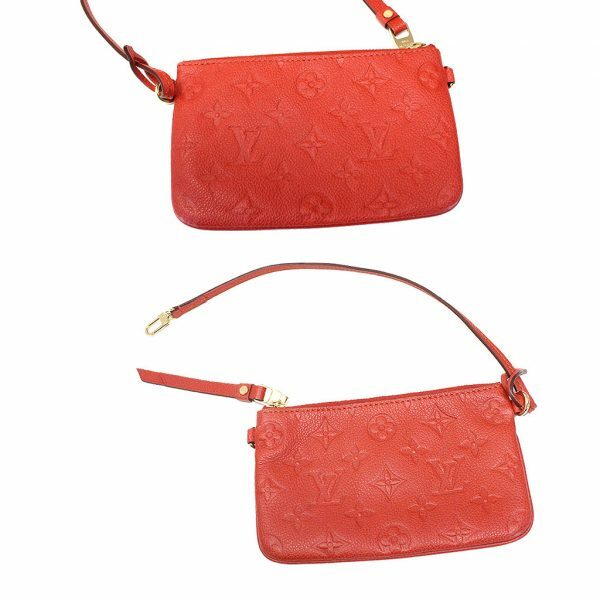 The pochette can be removed and carried as a small evening purse. 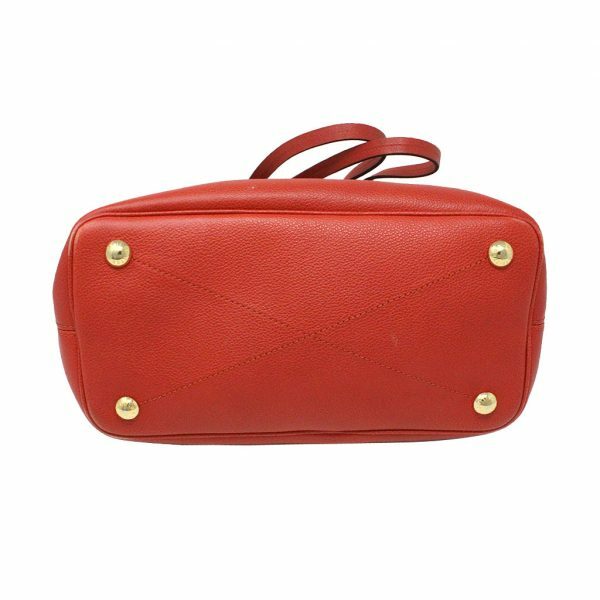 Carry this purse with the long red leather shoulder straps with a comfortable 9 inch drop. 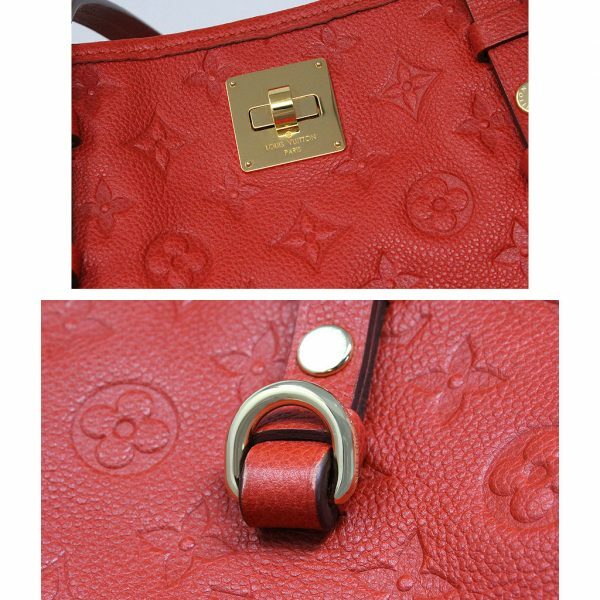 The shoulder straps show faint scratches along the sides. 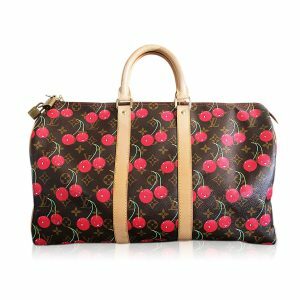 This is the perfect tote bag for the spring/summer seasons. 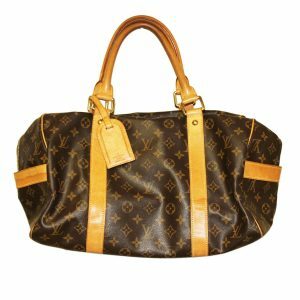 Buy this authentic Louis Vuitton tote bag now or make us your best offer.